Choose the place of your stay between rooms radiating intense romance, and modern suites with elegant decoration for maximum luxury accommodation. 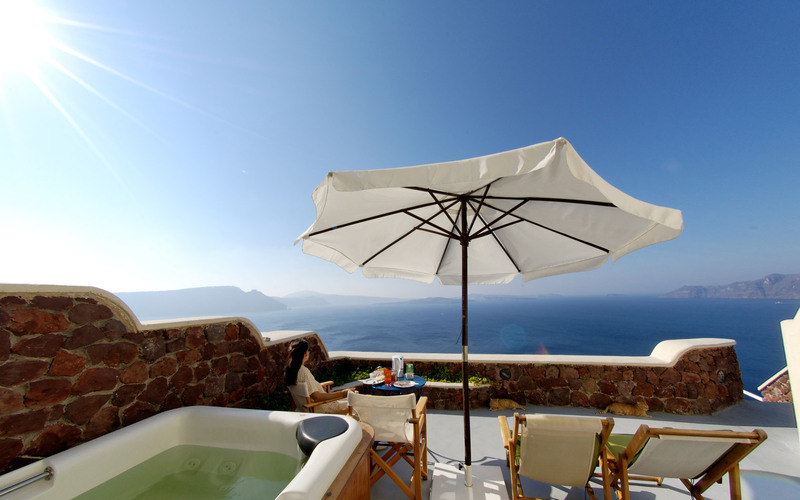 Delfini Villas was designed to respect our environment and the local traditional architecture of Santorini and at the same time offers complete satisfaction, relaxation and well-being to our guests, through personal attention, care and consistency of service, considering even the slightest detail. The hotel complex has a wealth of facilities and services. Free private parking is also provided, which is of great value, since very few hotels in Santorini have this capability. Pick the most convenient time frame you’d like to travel to Santorini and contact us to discuss all the details of your stay. If you’ve already selected the type of room that satisfies your needs, you may make your reservation directly through our featured Online Booking System. We’re expecting you soon so we may provide an extraordinary and unforgettable experience in the island of Santorini just for you. The peaceful village of Oia (Ia) is built on one of the finest spots on Santorini Island, located on a cliffside opposite the volcano and the Caldera. Thousands of visitors come to vacation in Oia (Ia) every year just to catch a glimpse of what is considered by many to be the most beautiful view in the world. 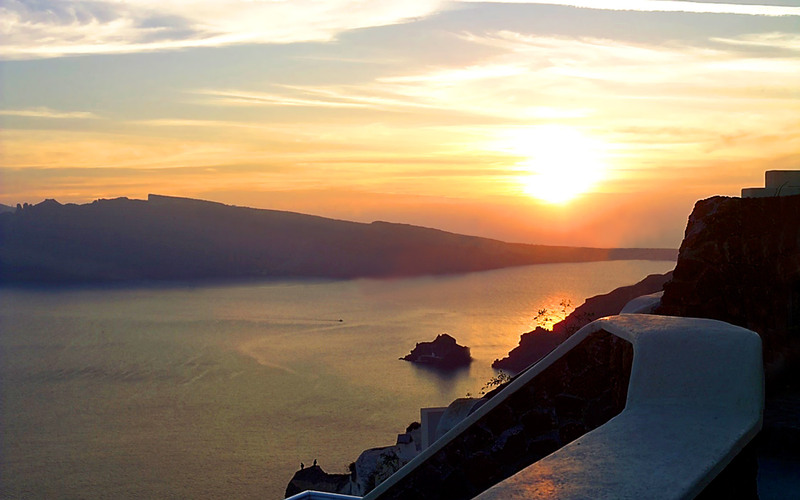 Words cannot aptly describe the beauty of Santorini Island. 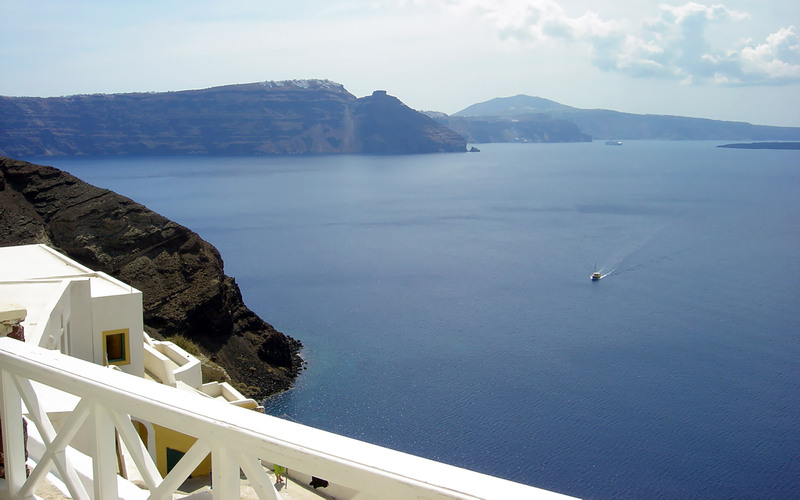 It is a land of contrasts, with a variety of unique characteristics that cannot be found anywhere else in the world, such as the volcano, the Caldera, the brilliant sunset, the volcanic sandy beaches, the impressive archaeological sites, the typical Cycladic architecture and the exciting nightlife.